By now, you’ve probably heard about the new trip-building platform Tripfuser. But did you know they’re not just consumer-facing? They’re also a fantastic tool for travel agents looking to craft unique, personalised trips for their clients. 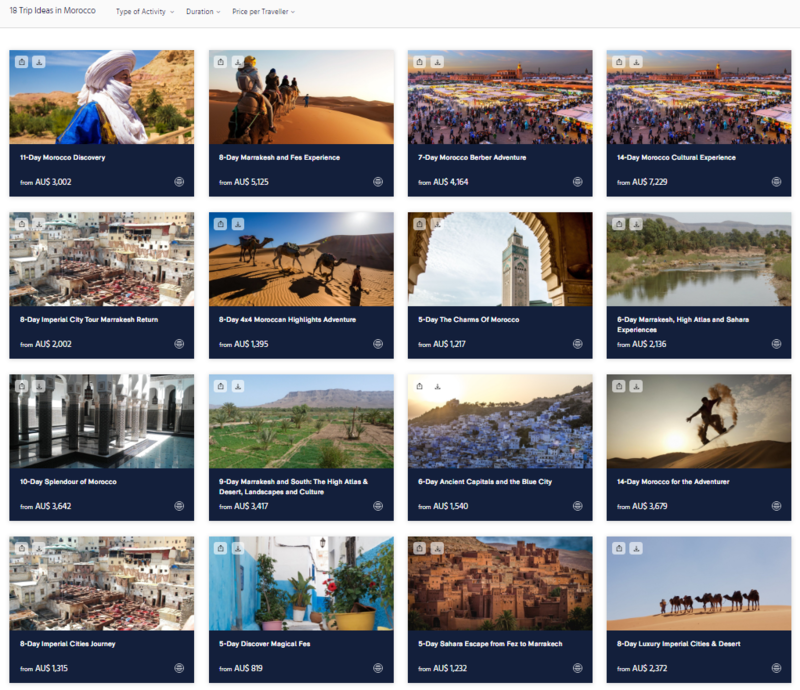 With Tripfuser, agents can choose from hundreds of fully customizable itineraries from around the world to wow their clients and make a nice commission in the process. It’s free to use with no lock-in contracts, preferential net pricing and a single payment point for the whole trip. In fact, they’re so sure they can bring you the best price, that if you find the same private tailored trip for less, Tripfuser will match the price and credit your account with AU$50 (or equivalent). Still not convinced? Here are five good reasons to sign up today. All you have to do is sign up (which is free BTW), type in your client’s chosen destination, choose from hundreds of fantastic itineraries and start building your client’s dream trip! Once you’ve selected your client’s destination and chosen an itinerary, you’ll be given a full rundown of the trip, from airport arrivals, hotels, transfers, tours, the whole shebang. Each component is fully customizable, allowing you to choose the type of accommodation (authentic, basic, comfortable, luxury or unique), whether or not you require a guide or driver, when you need your booking by and anything else your client may need. You’ll then be connected with a local supplier who can offer your local advice and complete all your bookings in the once place! The agent dashboard is easy to use and offers plenty of resources to make sure you get the most out of the Tripfuser platform. Ask any travel agent in the know and they’ll tell you your clients want personalisation. Personalisation is a point of difference from OTAs and DIY travellers who just can’t compete with the knowledge and experience of a travel agent. But crafting truly personalised trips can be hard to achieve unless you’ve got an intimate knowledge of unique, out of the box experiences in tourism hotspots all over the world. 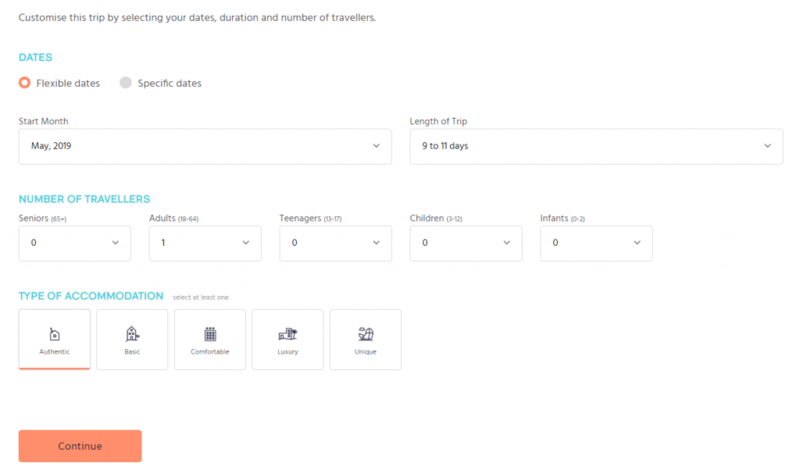 Tripfuser is your cheat sheet for personalising your client’s trip. 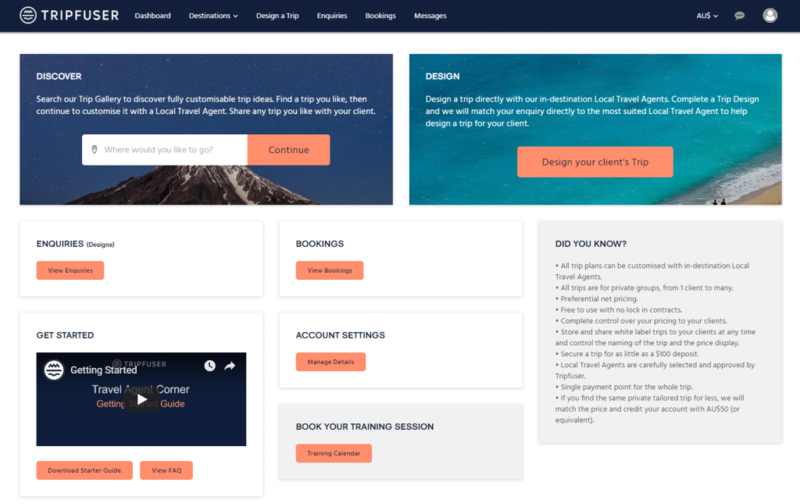 By connecting travel agents with local suppliers and providing the flexibility of full customisation, the product will set agents apart from the pack and keep your clients coming back for more. Agents receive 10 per cent commission and complete pricing control. Not only do you get to take credit for a truly personalised, experiential trip, but you also get to cash in too! Itineraries are white labelled with your agency’s branding and the text can be formatted to suit even the trickiest style guides. You can share them directly with your clients via social media, email, web link or receive an auto-generated, branded PDF to email out yourself. You can choose from hundreds of fully customizable itineraries across Africa, Asia, Oceania, Europe and North America. So whether your clients want to reach the summit of Mount Kilimanjaro, swim with whale sharks in the Philippines, attend a music and film festival in Serbia, or go on a gastronomical adventure through Paris’ Saint-Germain there’s sure to be something to tickle their fancy. In case all that wasn’t enough, Tripfuser has just launched one hell of an incentive. Each agent who signs up for Tripfuser from the 1 April until 30 April will go in the running to win $5,000 Tripfuser Cash to put towards designing your very own private trip! Not only is the platform making booking tailored trips for your clients quick and easy, it’s giving you the chance to sample the fantastic products on offer. Already signed up to Tripfuser? Don’t fret! You’ve automatically been entered into the draw as a thank you from Tripfuser. There is no better time to sign up to Tripfuser than now! For more info, and to sign up, go here. To find out more, check out our handy explainer here, Tripfuser’s website here or sign up here. Hotel wrap: Sydney to get new Mercure, Hayman Island update, Pullman makes Fiji debut + more!